A number of New Jersey’s state regulatory provisions specify statutory penalties for violations. Having a defined penalty enhances predictability and reduces inconsistent application of the law. When the statutes provide for enforcement actions by individual consumers, the statutory penalty model has the potential to provide the individual with a straightforward means of redress, often without need to even hire an attorney. Attorneys are getting involved though, and it is leading us toward a system where businesses are being regulated one jury at a time. The “private attorney general” model of regulation combines the enforcement and compensatory functions, by entrusting consumers and their attorneys with what is effectively regulatory enforcement authority. In theory, the model encourages compliance while saving the state money. But while the fiscal note on a bill to be enforced by yet another private right of action may be zero, such legislation is never cost-free. The costs are borne by the business community and the court system – and those costs are growing. The statutory penalties apply even where there is no underlying harm, so the costs of such private enforcement are not necessarily, or even likely, borne by the worst actors. When the power of the class action device is combined with the minimum statutory penalty model, the question of where such regulatory authority is targeted takes on even greater significance. The attorneys in these cases are compensated handsomely, but the plaintiffs end up getting only a fraction of what they could have recovered by bringing a complaint individually. The general public takes a hit to the pocketbook as prices rise to cover compliance costs and anticipated legal costs. And the court system is forced to divert funds away from other legal needs to provide a forum for, and oversight of, these cases. The “private attorney general” has untrammeled discretion and no political accountability, and this raises significant questions beyond those related to the costs of such a system. Does the private enforcement model target the most egregious cases? Is it consistent with the legislative or administrative regulatory regime? Or do private litigation remedies and class aggregation of statutory penalties actually distort the underlying regime? 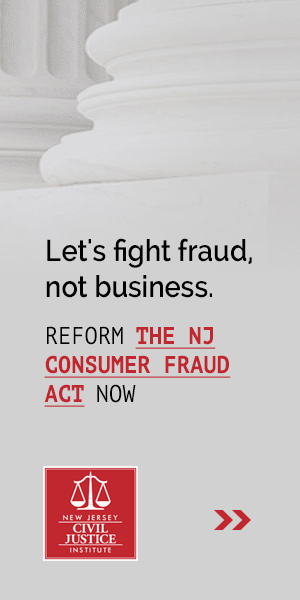 The New Jersey Civil Justice Institute is hosting a half day Legal Reform Conference on September 18 where lawmakers, business owners, and the legal community can come together to consider these important questions. The event, which is being held at the Hotel Woodbridge at Metropark from 8AM to 1:30 PM, will feature a networking breakfast, two panel discussions with lawmakers, including Assemblyman Michael Patrick Carroll (R-Morris) and Senator Peter Barnes (D-Middlesex), and a keynote luncheon with remarks by one of the most well-respected and influential legal scholars of our time, Prof. Richard Epstein. A full agenda and registration is available by clicking here.